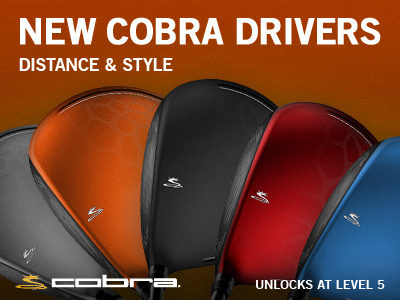 Make a statement with your driving distance and style with the new Cobra BiO CELL virtual driver -- now available in 5 colors. The Cobra BiO CELL driver offers more distance with less spin off the tee, plus a slower WGT swing meter to help you hit straighter and longer. Choose from new black, blue, red, silver or orange drivers to best match your style, all available now in the WGT Pro Shop unlocking at Level 5.